To meet the ever increasing demands of our clients we have been offering a wide range of custom made framework. These are customized while keeping in mind the inputs provided by our customers and are dimensionally accurate. Octagonal Formwork for Wolrd Bank Project. 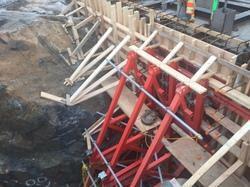 To maintain excellent quality standards, we are offering a quality range of Bridge Formwork And Staging. 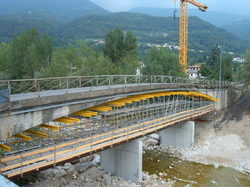 The Bridge Formwork And Staging we offer is widely demanded for its sturdiness and reliability. Our products are available in committed time frame. 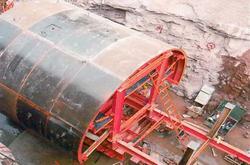 Our clients can avail from us a quality range of Travelling Tunnel Formwork. 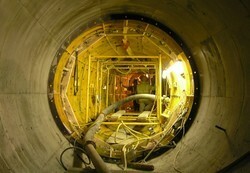 The Travelling Tunnel Formwork we offer is highly demanded amongst the clients for its wide use. These products are available in the market at industry leading prices. Looking for Custom Made Formwork ?